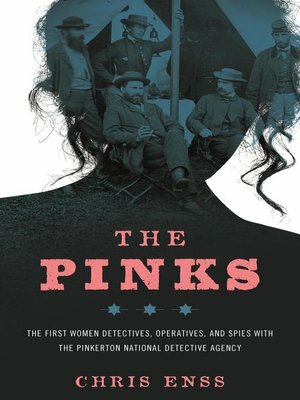 The true story of Kate Warne and the other women who served as Pinkertons, fulfilling the adage, "Well-behaved Women Seldom Make History." Most students of the Old West and American law enforcement history know the story of the notorious and ruthless Pinkerton Detective Agency and the legends behind their role in establishing the Secret Service and tangling with Old West Outlaws. But the true story of Kate Warne, an operative of the Pinkerton Agency and the first woman detective in America—and the stories of the other women who served their country as part of the storied crew of crime fighters—are not well known. For the first time, the stories of these intrepid women are collected here and richly illustrated throughout with numerous historical photographs. From Kate Warne's probable affair with Allan Pinkerton, and her part in saving the life of Abraham Lincoln in 1861 to the lives and careers of the other women who broke out of the Cult of True Womanhood in pursuit of justice, these true stories add another dimension to our understanding of American history.